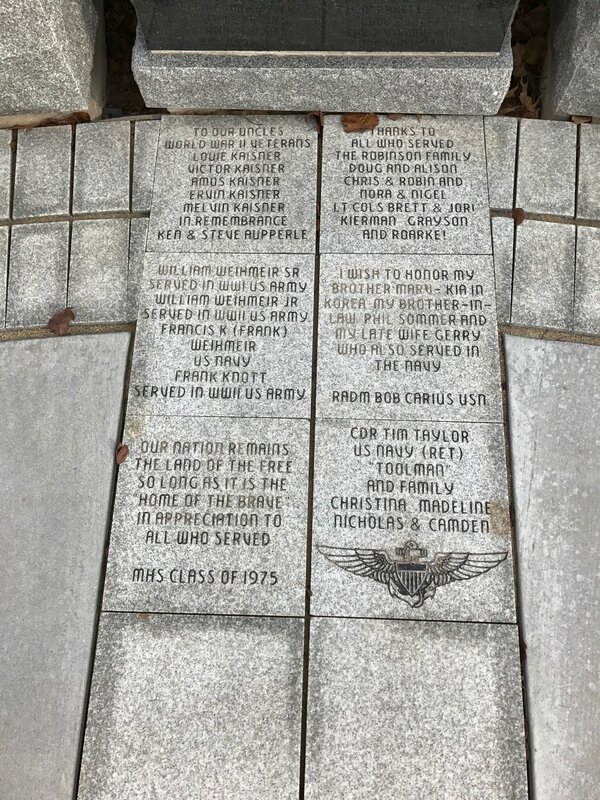 Memorial Plaza, Main Street entryway. 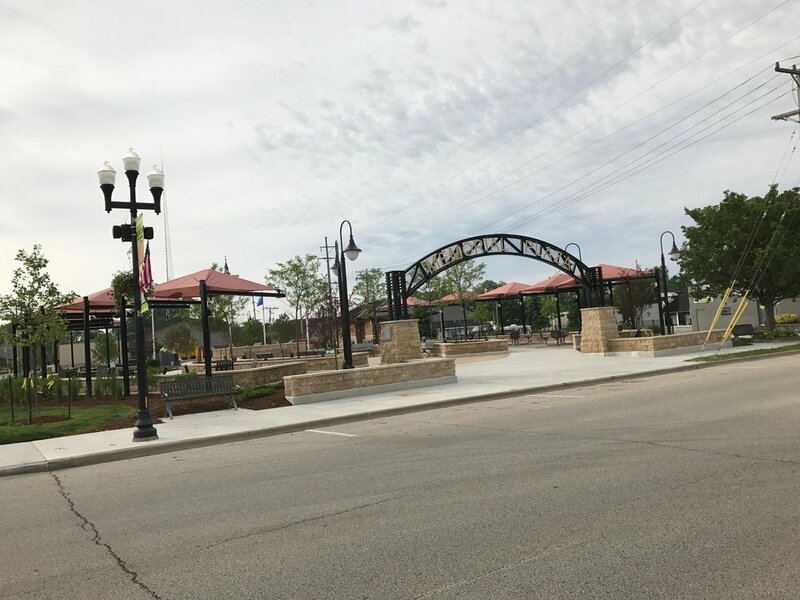 This pass-through project fund was started in February of 2013 by the Village of Morton and the Morton Economic Development Council. 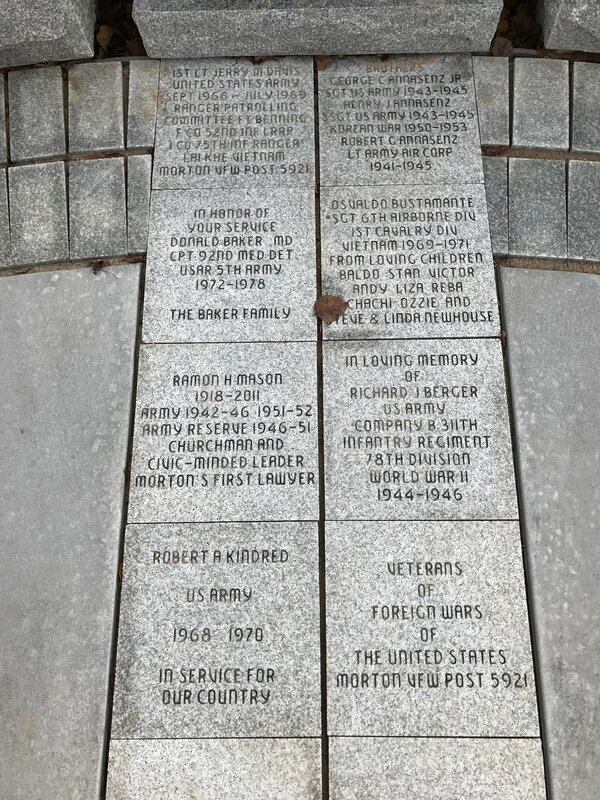 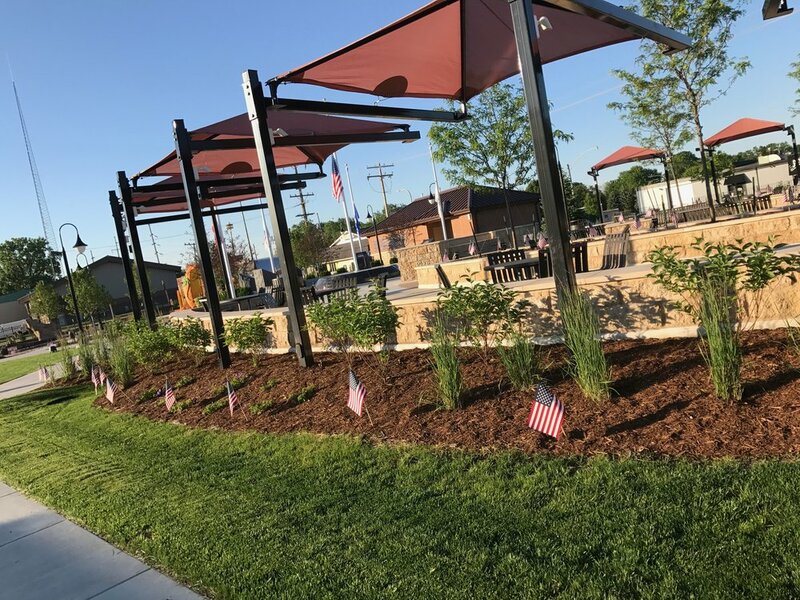 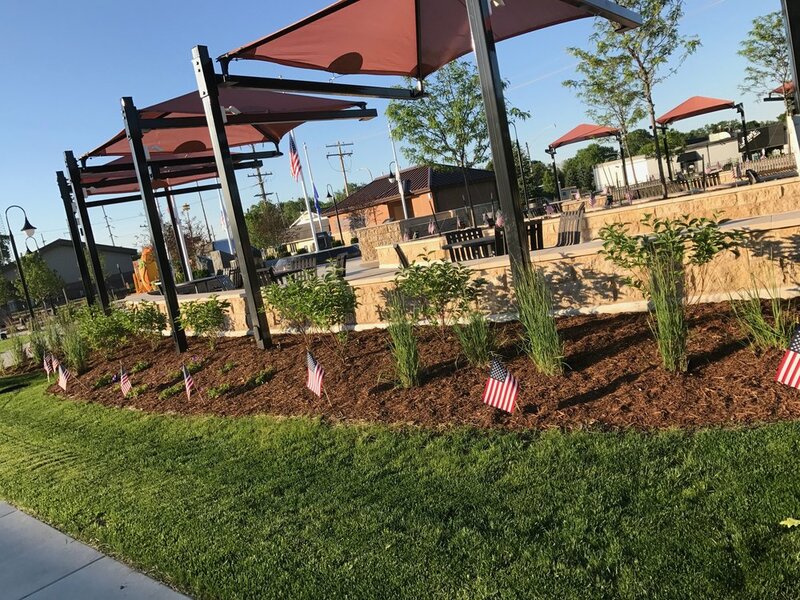 It was established to collect donations toward the construction costs of a new park in downtown Morton, including a Veteran's Memorial. 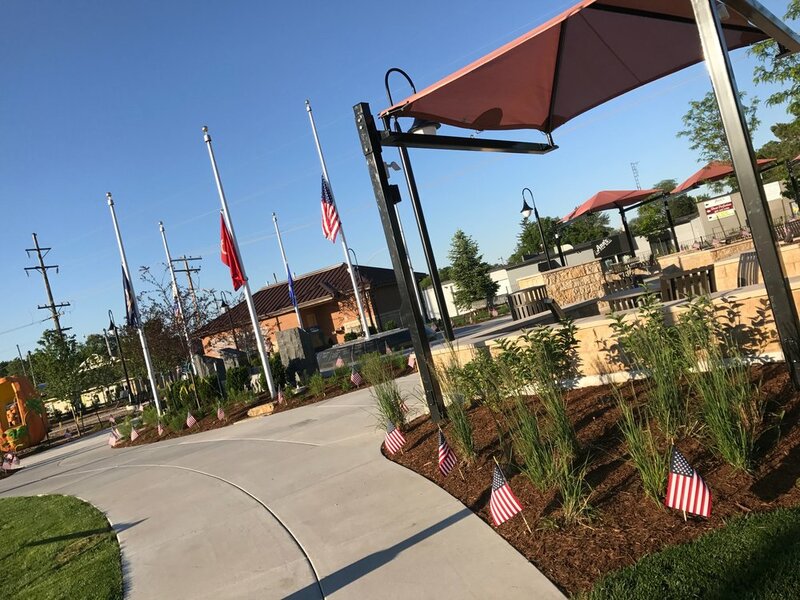 Video fly-over of the Memorial Plaza. 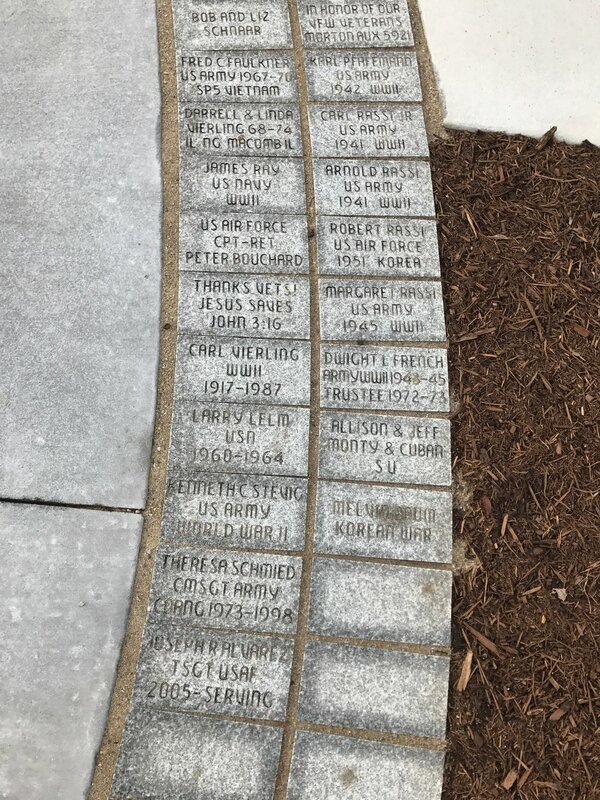 Note that this video shows the entryway sign as Morton Plaza, but the actual name will be Memorial Plaza.